Indian Cricket control Board has announced the schedule for upcoming Black Caps Vs India cricket schedule to be held in September October 2016. Best New Zealand Vs India Cricket Tour Packages - Cricket Trip !! Crickettrip.com is the best cricket tour organizers offering New Zealand Vs India Cricket Tour Packages to various destinations of India. New Zealand Cricket Supporters follow their cricket teams to various destinations worldwide. Crickettrip.com offers ever memorable cricket tour experience to such cricket fans and arrange the tour packages with best deals. Crickettrip.com has a big network of associate offices in India, Sri Lanka and Bangladesh who work 24 x 07 to give you the comfortable tour experience. Presently we are offering England Vs India, New Zealand Vs India, Black Caps Vs India, England Vs Bangladesh tour packages to different destinations of India and Bangladesh as New Zealand and England Cricket team is set to tour India for Test, ODI and T20 cricket series from September 2016 to January 2017. 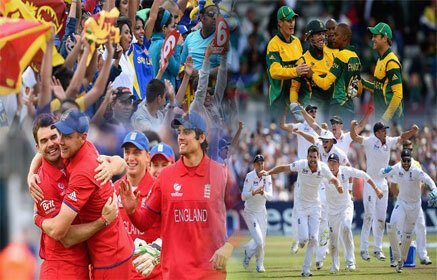 We are sure that no other company would be offering this many choices of cricket tour to Cricket supporters and fans. Cricket holidays are not just visiting a destination for watching the live action in cricket stadiums; it is also visiting and exploring the culture, tradition, wildlife, lifestyle and heritage of that place. Crickettrip.com design the cricket tours keeping in view to cover the nearby attractions and proper routing so that cricket match and enjoyable tour can be combined with easiest convenience. We try our level best to secure the best located seats in cricket stadiums while getting the Cricket Match tickets for our guest to give them the nearest and clear view to enjoy live cricket action. We always try to get the hospitality tickets for our guest so that they can enjoy their meal and drinks (if allowed) while watching the match. We offer the choice of hotels from 3* category to 5* Deluxe category, heritage hotels, Eco friendly hotels, Resorts and Spa to the guest depending on their taste and budget. Having a long association with hotels, we are able to negotiate best rates and offer to the guest. To offer the comfortable journey, we provide luxury vehicles, air-conditioned trains, best suited flights so that every guest feel fresh and recharged after every journey. Knowledgeable and experienced English speaking guides are associated with us to deliver the best of knowledge about particular place, people, monument, flora and fauna. Our tour escorts are always ready to take care of each and every small requirement of a guest. We also have a Noble side, as we do not only offer the tours to the guest, we also donate some money from each booking to some NGO's who take care of Needy, Orphans, Malnutrition, education to poor and rural children etc.